First Listen: Steve Martin And Edie Brickell, 'Love Has Come For You' With assists from fellow stars such as Esperanza Spalding and Sara and Sean Watkins of Nickel Creek, Martin's banjo lines sing and sway with grace and charm that seem effortless. Edie Brickell's plainspoken warmth pairs wonderfully with Martin's playful picking throughout. 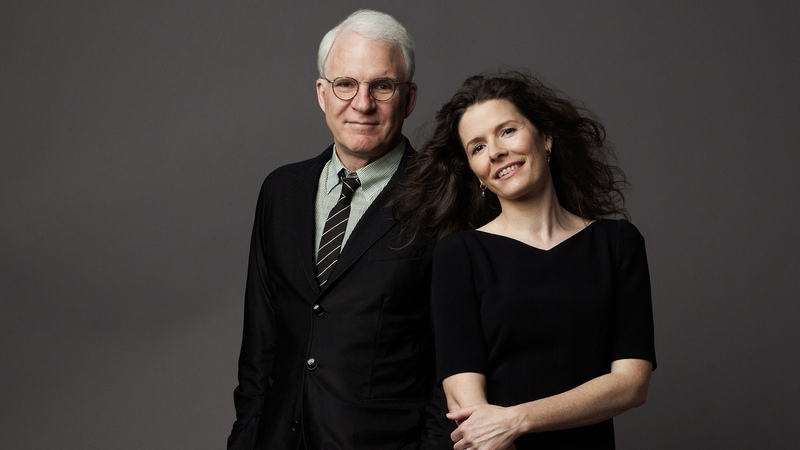 Steve Martin and Edie Brickell's first album together, Love Has Come for You, comes out April 23. For all his wry self-deprecation, Steve Martin has never been a musical tourist: The actor, comedian and author has been passionate about the banjo for decades, and trotted it out on stage at every opportunity in the years leading up to his decorated recording career. Martin's got the chops to hang with some serious bluegrass veterans, and those guys don't mess around; when his debut album The Crow won a 2010 Grammy, it wasn't just name recognition that put it over the top. Martin's impeccable taste in collaborators — most notably the pros in The Steep Canyon Rangers — merits admiration on several fronts, starting with the fact that, if he couldn't hold his own next to the best players around, fans would surely notice. But Martin's also no dummy: He knows his name makes him a big draw, and that his blessing can go a long way toward feeding some of his favorite musicians. He's a marvelous ambassador for bluegrass and other roots music, not least because he clearly cares about shining a light on the players he admires. On Love Has Come for You, Martin's third album, his roster of collaborators expands to include veteran singer-songwriter Edie Brickell, who's been rattling around near the margins of pop and folk music in the 25 years since the double-platinum success of her debut album, Shooting Rubberbands at the Stars. In that time, Brickell — who, as the wife of Paul Simon, knows a little something about high-profile collaborators — has shed some of the lilt that marked her early vocals. But she's acquired and honed a sort of plainspoken warmth that pairs wonderfully with Martin's clean, subtly playful five-string picking. If Love Has Come for You gives Brickell's profile a boost, that'll be all the more reason to celebrate a record whose charms were already plentiful. But it's best not to forget that Martin lends these recordings more than just his name: With assists from The Steep Canyon Rangers, bassist Esperanza Spalding, guitarist Waddy Wachtel, and Sara and Sean Watkins of Nickel Creek, his banjo lines sing and sway with grace and charm that seem effortless.